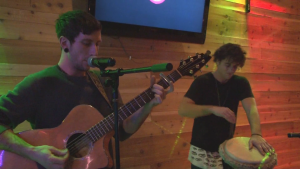 City360tv.com had two great musicians on Sound Check webisode. Host Holly Reinhardt sat down with Cory Sites and Kyle Hans. Front man and solo artist Cory talks influences his music and future music endeavors. Copyright © 2019 City360tv. All Rights Reserved.